The FEDAGA seed potato order is being delivered on Saturday 21 February to Inverleith Allotments and will then be sorted out into the individual site orders . 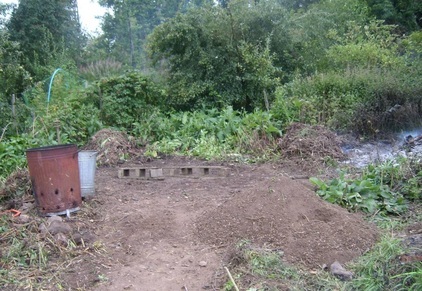 Anyone who is interested in helping should make their way along to Inverleith allotments for 10.30am. It is a good idea to chit your potatoes after purchase up until the time you are going to plant them . They should be placed in trays in a cool frost free room or cupboard with low level indirect light. The potatoes will develop short stubby roots to get them off to a good start when they are planted in April . I’m having a go at growing my own tomatoes from seed again as I had good results last year. Tomato plants can be purchased in most garden centres from March however tomatoes must be one of the easiest vegetables to grow from seed . Last year I used my heated propagator however this seems to have packed in for reasons unknown so this time I’m propagating them on my kitchen window ledge and I’m hoping for some good sunny days. In addition to the varieties I grew last year – Marmande, Gardeners Delight and Moneymaker I’m also trying Chico Rosso cherry tomatoes and Harzfeuer which are both F1 Hybrids. It is possible to sow some seeds outdoors at this time of year including Broad Beans and early peas (Meteor) however as we can still be the subject of frosts at this time of year it may be better to wait until March. If you are growing onions from seed they should be started now and need a temperature of at least 15 degrees C.
This is a good time of year to clean down the inside of your greenhouse to remove dirt and any fungus/mould spores .